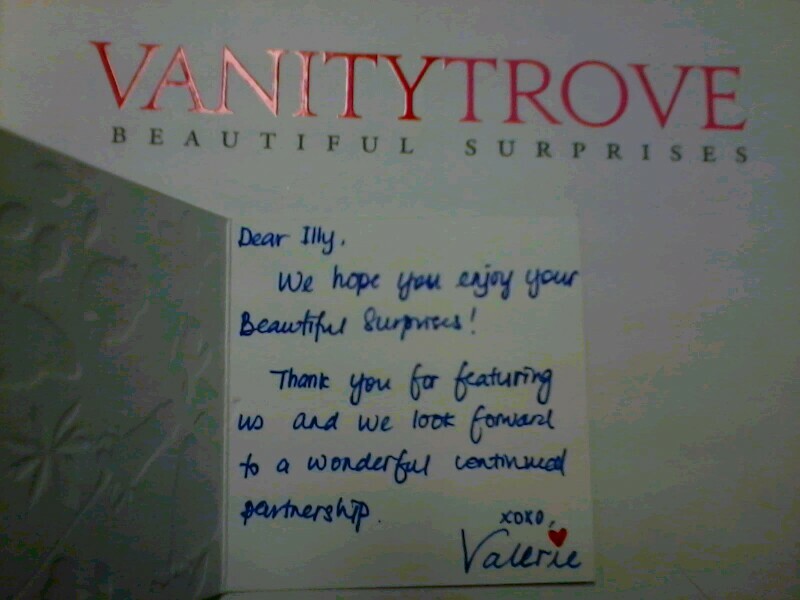 First of all, I would like to say thank you to Winnie from Vanity Trove for giving me an opportunity and sponsoring Vanity Trove – Malaysia Debut Box J for my review. First of all, their box is unique.. it is a drawer shape with a cute pink ribbon puller J and the box is firm.. I saw few other bloggers stack two box and use it as drawer… I found that it is a very cute idea! Palomo J this is a new product that I haven’t come across before.. When I first saw it.. I taught it was a hand lotion.. haha Being an easily excited lady.. I put some on my skin and rub it.. Then only I read properly and saw that it was actually a body wash hahaha :P Oh my! I love the rose scent.. it is not too strong it just nice to boost you with good mood feeling J Really grateful that it Vanity Trove provide a big sample size for this product.. I love it! Wella Shampoo and Conditioner came in a deluxe size J Yeay to that! I always love receiving hair products.. because like I said in the earlier post, is it easier to test hair products and make up since the result is almost instant J Plus I could always bring it during travel.. I also received Bliv.. and currently I am doing an experiment pluss my hubby is the white mouse for my project. I asked/forced him to wear it every day on his nose (he have such a yucky black heads on his nose A LOT of it). So, we will see whether it really work as the 14 day promised J Will Johan have a clean pores? Stay tune for this ya!! I also received 2 chocolate candy from Merci J such a sweet touch! 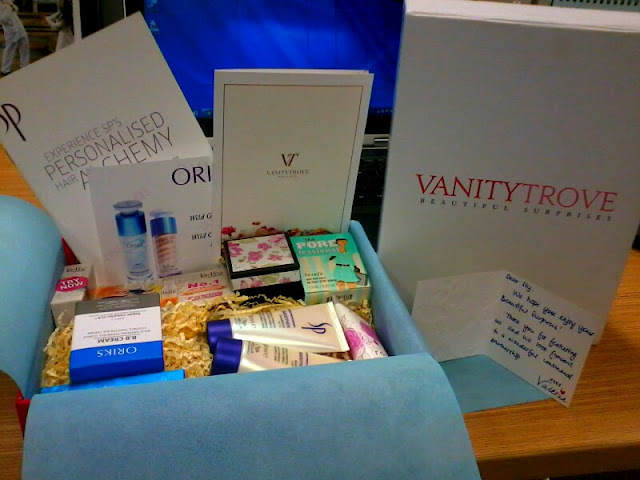 Pro : Cute Steady Box and unique drawer like design, and variety of products J I found that this debut box is sort of having a theme J This time around it is focusing more on pore J since most of the products are for pore. Con : The price.. RM 60 is slightly pricey comparing to the current beauty boxes in the market. You've made some decent points there. I checked on the net for additional information about the issue and found most individuals will go along with your views on this web site. express are really awesome. Hope you will right some more posts. Saya pun nak try , blh kasih i try sample tak?